Dreaming of a European vacation? It may pay to wait a few years. Europe's biggest budget carrier Ryanair (RYAOF) is planning to launch cheap transatlantic flights by 2020. The airline is in talks with manufacturers over a long-haul fleet. If they secure the aircraft -- likely provided by Boeing (BA) and Airbus (EADSF) -- Ryanair plans to offer budget flights to Europe from up to 14 American cities. "European consumers want lower cost travel to the U.S.A. and the same for Americans coming to Europe," head of communications Robin Kiely said. "We see it as a logical development in the European market." Tickets would start at £10 ($15). But don't get too excited by the rock bottom fare: passengers will end up paying much more than that. Passenger taxes add about $200 to a flight from the U.K. to the U.S. And there are "extras" charged by the airline, such as fees for baggage or reserving a seat. Like other no-frills carriers, Ryanair drives profits by charging passengers for services not included in the ticket price. The Irish airline has long talked about pushing into the lucrative U.S. market, but it's not the first to spot the opportunity. Norwegian Air launched a low-cost service in May. Last month French airline La Compagnie unveiled plans for cheap business flights from New York to London. 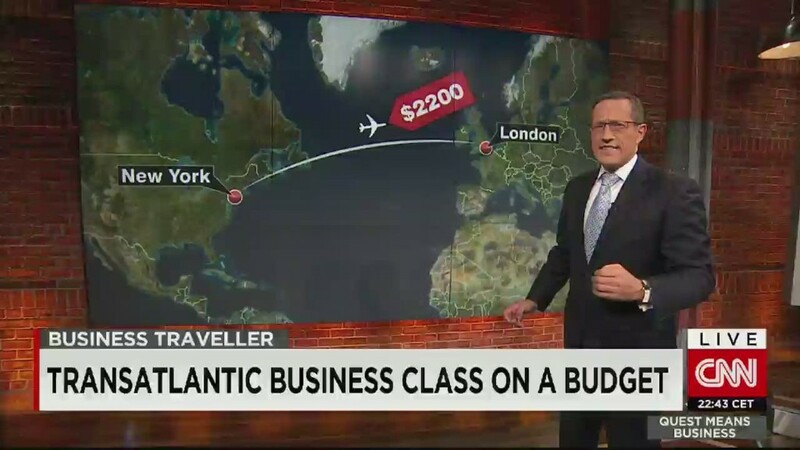 At $2,200, its offer undercuts the majors such as American Airlines (AAL) and Air France (AFLYY) by more than half. But the route has seen many try and fail. Three business class operators -- Eos Airlines, MAXjet and Silverjet -- had all collapsed by 2008. A fourth, L'Avion was sold to British Airways.